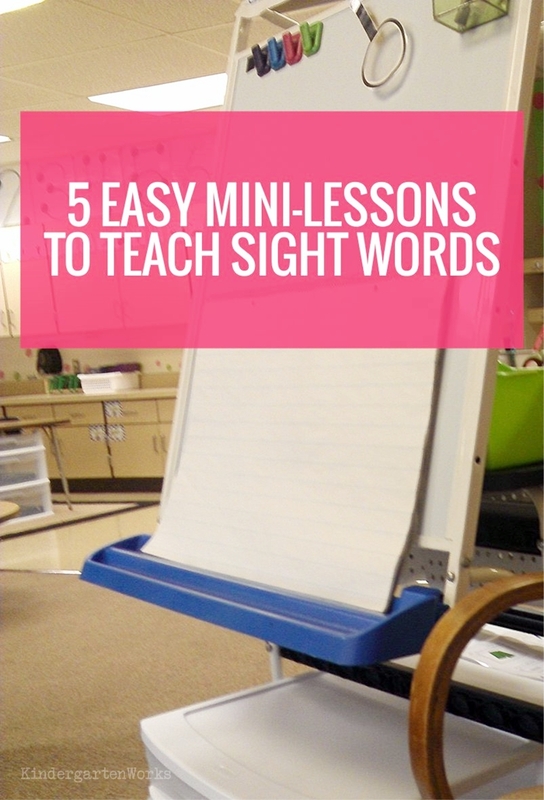 When it comes to teaching sight words there a lot of different approaches. 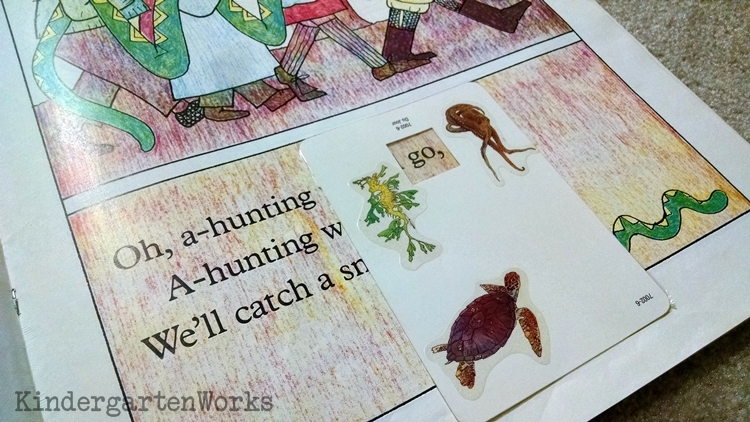 Here’s how I like to teach a sight word in 5 minutes for 5 days to kindergarten. 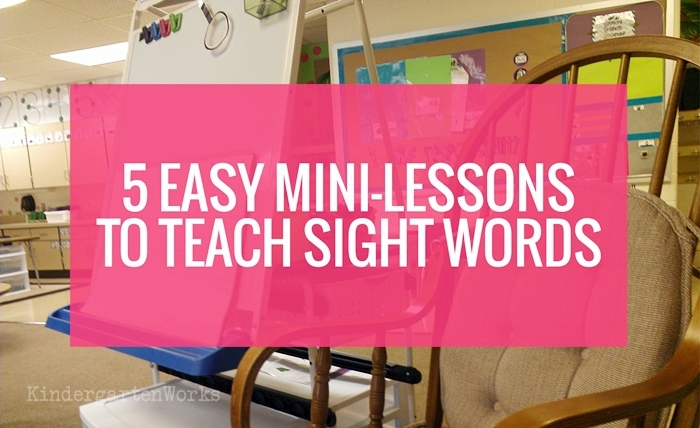 Teach sight words interactively with these five easy mini-lessons. Let me share why, how and what sight words we focused on – that way you get the entire picture. In kindergarten, we teach how to read/recognize words simply by seeing them. Just as you see a face and recognize it with someone’s name attached. It’s automatic. It’s an instantaneous response. Well, it may not be that automatic in kindergarten (or at least at the beginning, for sure) but that’s the goal of teaching sight words anyways. Sight words are usually words that our kindergarten students will run into over and over and could potentially see them in print dozens of times in a day. Sometimes people call them high-frequency words, popcorn words or even star words. Teachers like to come up with many names for things like that, don’t you know? The reason we teach sight words in kindergarten? Because they are reading in kindergarten! Teaching sight words helps them to read more fluently, fluidly and write more efficiently too. Let me preface that this is my routine that I planned and then tweaked over the years. It was my goal to teach a sight word each week and I wanted to use repetition to my advantage. My thinking was – the more they see it, use and can be it – the quicker they’ll learn it… and the increased likelihood that it’ll stick past just that week. Of course this little list I’m including isn’t the only time I ever mentioned sight words. But for the sake of sharing with you – it’s the bulk of my teaching sight words whole group. I simply did one of these each day and fell into a Monday-Friday routine. It made lesson planning easy for the entire 5 minutes each of these mini-lessons took. Can you sing Mary Had a Little Lamb? Then you can totally use this strategy to teach sight words. Simply replace the lyrics of a nursery rhyme or familiar tune with the letters spelling the sight word. Want me to make all of the songs up for you? Check out my sight word songs. Your students will come away with a strong core of 24+ words they can read and spell. Another option is to create a story for the way the word looks. The “story” is simply a meaningful way to attach the visual look of the word to the spelling. 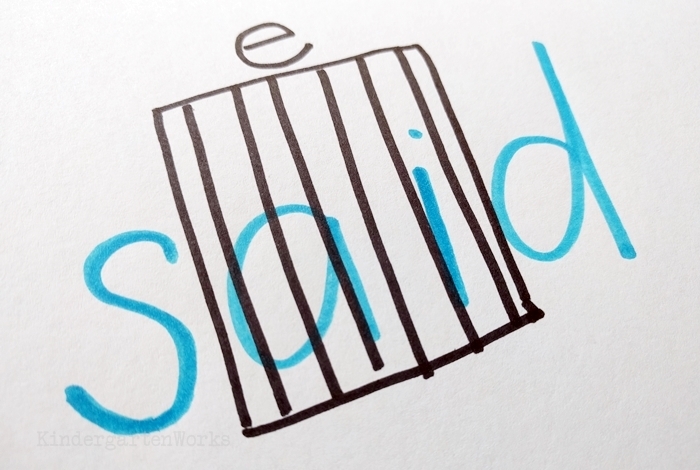 When teaching said – I’d say, “Listen to what these vowels are trying to say. /e/ /e/ The a and the i are trying to be the letter e. They aren’t allowed to do that. They are so naughty they should be locked up in jail.” And I would talk draw a square with vertical lines (like a jail cell door) on top of the ai. I’m creating a story to go with the visual look of the word. Often they can recall the look of the word and remember it’s an a and an i hiding behind the jail door. Of course that isn’t expecting a very automatic response from my students, but it’s a strategy to build up the skill. Basically for the first day, I’d introduce and sing. Or I’d introduce and create a story for the new sight word based on its graphemes (like I did for said) or its look. Just because you taught a song, chant or story to “teach” what the sight word looks like or remember how it’s spelled – that’s not enough. You need to explore what it looks like by changing it and coming back to the original. 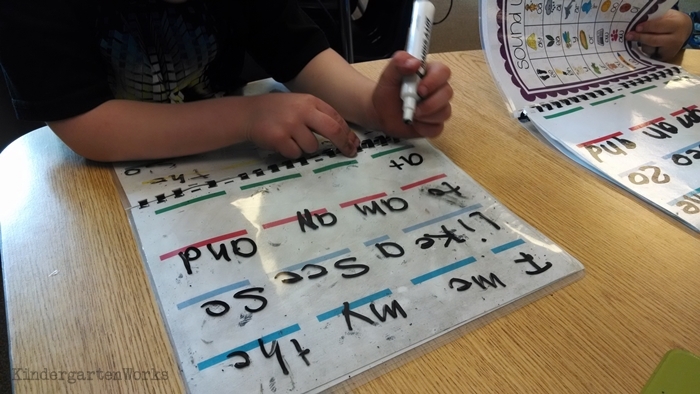 Pull out your magnetic letters, playdough or letter tiles under your document camera. Review your song or story and have students help build the word. Then choose a letter (or letters) to switch out. So – take your word “the” and turn it into “tne”. Have students identify what’s wrong. 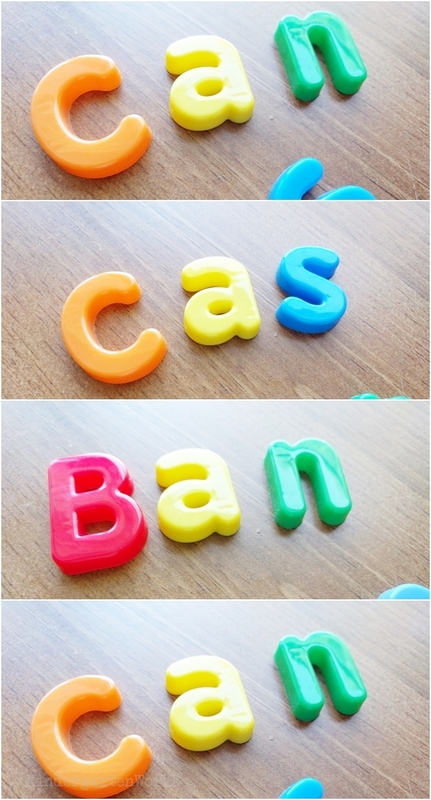 You can also mix up a letter or two and have them identify and rearrange them back into the correct order. Repeat. Pull this off with a little teaching drama (like they are contestants on The Price is Right) or have them close their eyes in between the switcheroo. Be sure to always come back to the correct spelling and review your song or story as discussed earlier. Your kinders need to see the word in print. That means not just on a word wall card (though that’s good too) but in actual print, surrounded by other words, separated by spaces. There are a couple different ways to do this. You can do one or do them all. You attack this one whole group using a big book or shared reading experience. I liked to have my students clap, snap, stomp or wiggle (something kinesthetic) when my finger landed on the sight word as we were reading. 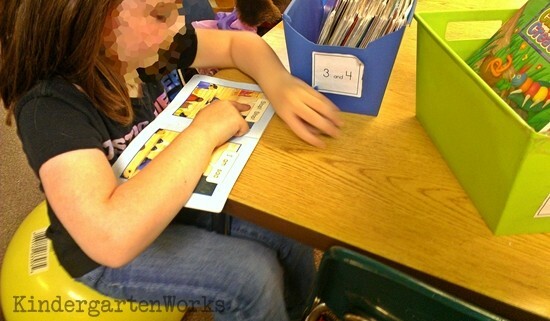 It’s easy to have them finger frame or use word windows to find the word in print during small group reading lessons. Reward kinders for finding the word in print during some independent reading time. 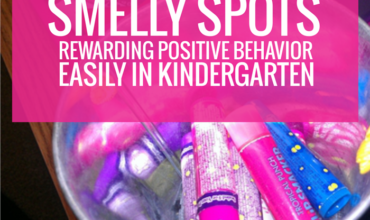 You could give out high fives, smelly spots or even a single M&M (some kinda incentive) for finding it. Review the song or story when wrapping up your whole group or small group mini lesson for good measure. Ah, this one speaks to that fact that kinders need to move. Sometimes we’d form letters in teams to make sight words – but more often than not – we’d simply transform ourselves into letters right there on our classroom rug. After I’d sprinkle or blow some letter dust across my classroom, we’d magically become letters. We’d sing the song or spell out the word slowly, morphing from one letter into another and giggling the entire time. Writing the letters of the sight word in the air using GIANT letter strokes is what I like to call skywriting. It’s another kinesthetic way of teaching how a sight word looks in print. We skywrite the word while singing or spelling the word out slowly. I’d change it up from just using arms for skywriting every once in a while to using another body part – like feet, elbows or tummies – just to keep things fresh. Or try it with eyes closed. That’s a good one. An alternative version of this is playing a partner-style game. They are going to be tracing the word (or last week’s sight word) onto their partner’s back with their finger. The partner has to guess which word was spelled out. The only other whole group activity we did was go over the entire list of sight words using a chant. Kinda like you’d review the alphabet chart everyday – well, we did that with our sight words too. That’s also included in my sight word songs bundle and is super handy. I will say that in addition to these mini lessons listed here we talked about sight words in our reading groups and our writing time too. I’m not going to miss out on a chance to reinforce the word! They’d also see the sight word the following week in the abc center and our pokey pinning center. Of course I didn’t have to teach just one sight word a week. There were a dozen weeks that we doubled up and I taught two a week to the whole class (like I’d add a color word). And I’d add more words in our small reading groups for those who were ready for it. Makes sense, right? What sight words to teach in kindergarten? This seems to be a very subjective question. Ask 12 kindergarten teachers and get 12 different answers. I started with a core set of 24 sight words. Once most of the class had that list mastered, we’d move on to learning 24 more. 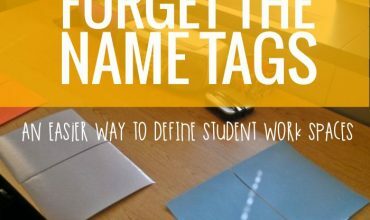 Some students would already be working on this list in small groups (or have worked past it). Many teachers have to follow what their curriculum says. Others like to use the Fry word list of 100 words to work from. I happened to have some flexibility with picking my list. No matter what sight words in kindergarten you teach – make them meaningful and get them in front of your kinders as much as possible. 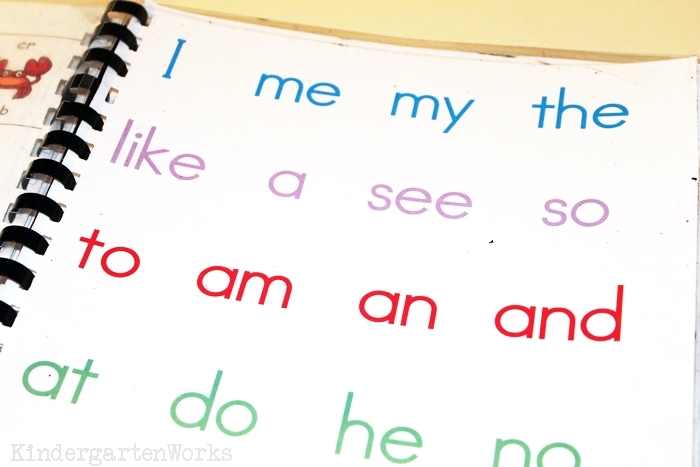 Here’s an idea that you can do to keep words rotating in front of your kiddos – literally. 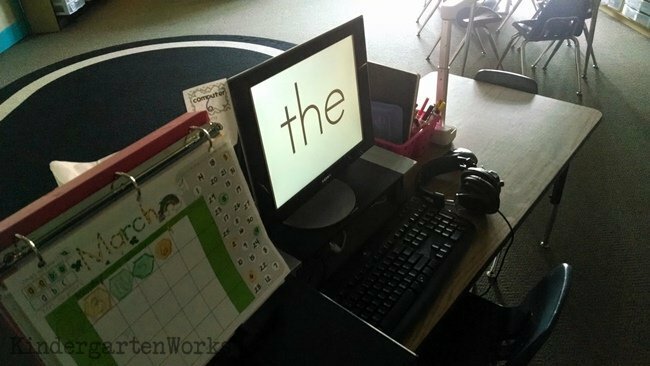 Create a slideshow with your sight words and have them be the screensaver on your classroom computers. I hope you were able to get the entire picture on how I teach sight words in our kindergarten classroom with those mini-lessons and thoughts. And I hope you are able to take away something to help you think, organize and teach the way you want to. Do you have a video of you using these different strategies? Nope – but that’d be a good idea. Thanks! What should a child know coming into kindergarten? Hi Brittany, that is a BIG question! Ask any k teacher and you’ll get a different answer truthfully. For me and my classroom I loved when incoming kinders could recognize their name in print, would attempt to write their name (meaning it looked somewhat like a name), could count up to 4, 5 or 6 objects by touching each one and saying the number to match, could count to somewhere in the teen numbers just by counting out loud, recognize a handful of uppercase and lowercase letters, hold scissors and crayons/pencil correctly, how to ask for help, how to wait in a line and be willing to attempt new things. I chuckled when I read your “Sight Words On Demand” and reason why you don’t teach 1st grade. Those are the exact words that I have said many times. But God placed me in 1st Grade after I had been teaching pre-school for 14 years. Now I teach kindergarten. I God always knew that we would make good at teaching littles to read. These are good ideas and these are the sight words we use in JAmaica. What i do is use the sight words to play bingo games, create word walls and puzzles. The students are also grouped according to how fast they know the words and will receive others. The reading book used also contains rhymes and the sight words. Hi Kaylee, I don’t think there is a wrong order to introduce sight words. We didn’t use Wonders so I can’t speak to the program’s effectiveness. We started with the, blue, red, my. I think what is effective ranks pretty high on my list whenever I had to decided what approach to take in my classroom. You’ll ultimately have to decide what you think is best for your classroom and you. This is my 2nd year using Wonders, and I start off with the word I. I try to follow the order because the other sight words are used in the literature, which brings meaning to the word. I do not introduce them as slowly because our district wants students to know 10 sight words by Oct. So I start out with I and then start doing 2 sight words per week for the next 2 months. I like your list. It allows kids to write about their world quickly. Your list is also positive. Keep up the good work. PS: Do little ones ever do a combo of writing and drawing these days? If so the possibilities are endless. I noticed in one of you’re blogs that you have a binder full of skill based reading activities that you have prepared and use with your students to teach skills during your skill based groups. What is in this binder? I am a teacher like you that likes to use my summer to get prepared for next school year. We are just beginning a new skill based reading program next year and so I was so excited to find your blog. 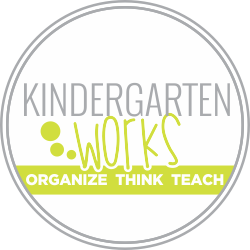 You might want to check into this post: https://www.kindergartenworks.com/guided-reading/modified-guided-reading-groups/. I hope that can help!